In this tri-series of blogs on the value of a professional PR campaign, I’ve shared the degrees of failure and success I’ve had with traditional and social media campaigns. To wrap the series, I'll share the lessons I've learned from the investment I’ve made in a social media PR campaign. Create your presence online via dedicated professional pages, rather than personal pages. For example, anyone who is interested in your work should be able to 'like' and follow your Facebook Author Page, rather than send you a friend request. Facebook is a good channel for click-throughs to your Author website, so as minimum presence, I would recommend a website (including a blog page) and an author page on Facebook, for sharing content from your website. Use the two in tandem for cross-promotion, enlisting page likes and website subscribers (if your website is set up for the latter). Instagram and Pinterest are popular methods for building your community online but they rely on catchy images. Are your marketing messages best told through images/photos, or better conveyed through words, images and web links. What about Twitter? How many platforms do I need to use? If your time capacity permits, I would recommend having at least two social media platforms in addition to your website. I would include Facebook, Twitter and Instagram in the core group because of their popularity and reach. Each of these platforms rely on different approaches but the key to building engagement on all is commenting and sharing posts from other users, not just ‘liking’. Google+ and Pinterest are other platforms to consider, if you have capacity. The advantage of Google+ is that it has the best SEO results for your blog posts but it is harder to build a community. And though I have LinkedIn and have for many years, this is a serious professional networking site (an online CV), rather than an informal sharing site, so be aware of this. What is Goodreads All About? If you are a writer and presumably a reader first, you should be on Goodreads. It’s a dedicated social media networking site for book nerds. Set up a personal page but if you have a published book, you need to take advantage of the Goodreads Author Dashboard service (your own Author Page) and list your book. Readers can follow you and rate and review your books here and it is not based on verified and unverified reviews, like Amazon. If you think that Amazon is the only place you need reviews, you are missing a trick. I value the exposure and networks I have accessed on Goodreads far beyond my extremely low-ranking, almost invisible indie author Amazon page. 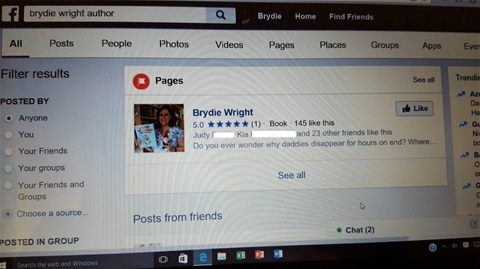 Having said this, if your book is being sold on Amazon, set up an author page via Author Central, so that people who do visit your page can follow you. Why have a website AND multiple pages on social media? The above-mentioned platforms, except a website with a registered domain name, are FREE channels for author exposure. I am not recommending you join more social media platforms than you can handle but I am suggesting that the more channels on which you have a presence, the wider the reach for your content (blogs and book WIPs) and community building. And think of it this way… what if a publisher pulls your book from a slush pile and cares enough to Google you and see what they can find out? Will they find you? Don’t obsess over rules. Follow sensible and achievable advice and adapt to your life. Only you understand what your time, skill and budget capacities are for driving your author platform. My PR campaign manager said I did not have to be omnipresent on social media. I breathed a sigh of relief. Her advice was to build a consistent schedule of blogging/posting and interaction every week, whether it be 30mins total, or 30mins on each platform, each day. The amount of time is not as important as the consistency and the quality of your interaction. Remember, comment and share. Don’t just 'like'. Another trick is to use your scheduled slot to pre-schedule posts on Facebook, so you can post content regularly without having to be online at the time. Where can I market my book for FREE online? Remember to class your author pages as FREE promotional channels but don’t just self-promote to your followers. There are an infinite number of FREE targeted marketing opportunities online, as there are an equal number of options for you to invest in commercial book promotion services. Part of the journey for you is doing your own research on these options and weighing them up for yourself. Many options promise more than they can deliver, so manage your expectations and if you are going to invest money, ask for recommendations and work out what you want to achieve by paying for a service. Beware measuring success only in sales figures as you are likely to be disappointed. Brand awareness for you and your books is the endgame for an emerging author. SEIZE targeted opportunities for promotion on social media. Though I have invested money in a PR campaign, I have taken just as many FREE opportunities for promoting my work. You can see them listed on my website in Breaking News and the Links to Press page. One advantage of devoting consistent slot/s to building your online platform is getting to know other writers and accepting offers of interviews, Facebook page shares, FREE book listings etc. The golden rule is RECIPROCATE. If someone gives you a free promotional opportunity, don’t take it for granted. Share the mention and tag in the page on which it originated. Thank people and offer to promote them when the opportunity arises. Build goodwill and strong content and you’ll find yourself with an Author platform. You might then just find yourself with sales. If you like my writing, please follow me on Facebook and Twitter. Thank you!